Universities and program departments have their own criteria on whether to accept a waiver application or not. For students that qualify, they need to submit an IELTS waiver. 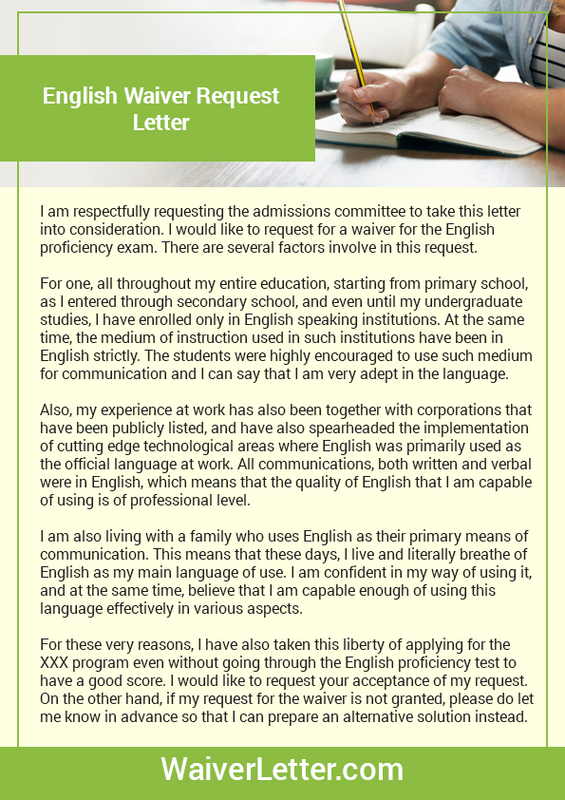 Before you could, you must check for the requirements of where you’re applying to determine if you are allowed to submit English proficiency waiver letter or not. On the other hand, there are also schools that may not accept to waive the IELTS score, so you need to do well in the exam and pass with excellence because some universities also have their cut-off scores. Check out the following for the basic info about the IELTS exam. The International English Language Testing System (IELTS) is an exam measuring your English language proficiency. It is required in many schools worldwide. The test aims at testing your communication skills in four areas, namely reading, speaking, writing and listening. What is the IELTS test? The English language proficiency exam is managed and facilitated by institutions, such as the IELTS Australia, the British Council, and the Cambridge University ESOL Examinations. Take note that the exam is mainly British, not American English. The IELTS requirements for the exam are two modules to answer – general training and academic training. The module to take will depend on your purpose to visit a specific country where English is the native language. You must appear for and take the general training module if you want to visit and work in a country or gain migration there. But if you’re applying for a foreign university or seeking a professional training there, you should take the academic module test. 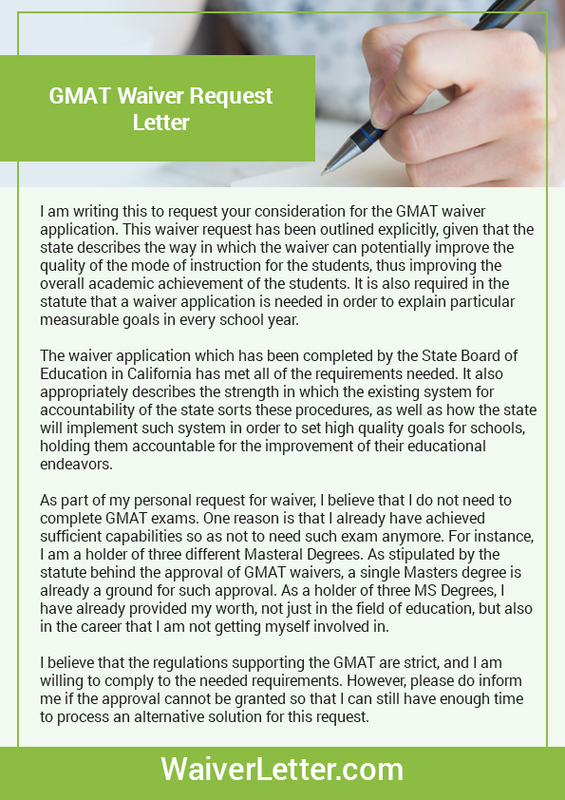 Now if you qualify and want to submit a score waiver (the same with TOEFL waiver), check out IELTS waiver request letter sample for an idea on how to write it well. Both speaking and listening are the same in both the modules. However, take note that the academic module is more challenging for the IELTS writing and reading sections. It is made up of four sections from easy to difficult, and each of it is a monologue or dialogue, which after is presented with questions. You should prepare for it well and know that every text is played only once. Candidates will be given 3 sets of text and then 30 questions, up to 14 for each text. The general training text is shorter but there can be five texts included. The section is comprised of two tasks. This section of the exam requires much practice from students because it is timed and the questions are challenging. If taking the academic version, you will need to describe a chart, a graph or a diagram, and then give your answers to an argument. General training modules include a short essay and letter writing. The speaking part of the IELTS exam is composed of three dialogues that you need to answer within 15 minutes. Summing up, the total allotted time to finish the exam is two hours and 45 minutes. You will be done with your exams if you have completed all the four sections. After a couple of weeks, you can follow up with the results. Now if you want to waive your scores, check out the qualifications of the school where you’re applying and submit a waiver letter if you qualify. 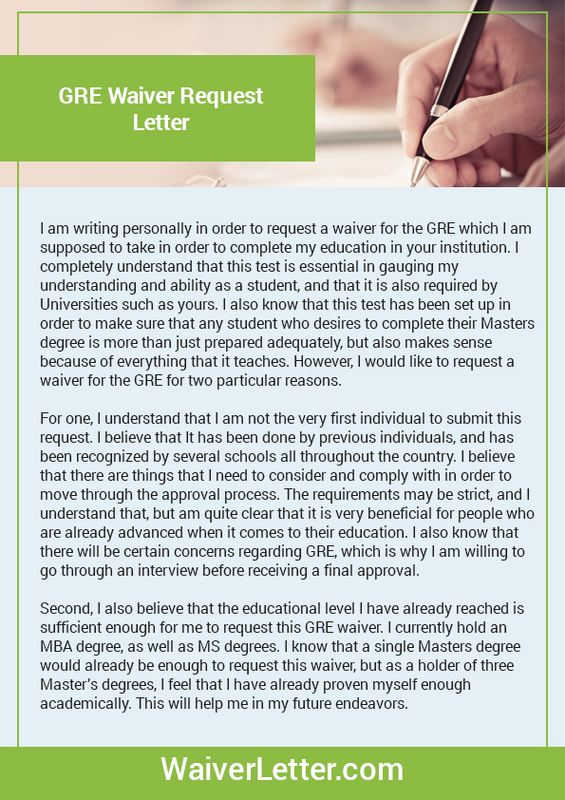 For a convincing IELTS waiver, start reading some pieces of advice we got for you here today!